Great Britain is famous for its scenic countryside and cottages. Here the refreshing greenery and cleanliness of the air are really amazing. The countryside is also characterized by a pristine beauty including green hills sloping down towards rugged mountain ranges with hundreds of waterfalls, inhospitable gorges, sand eddies, cliffs, subtropical vegetation and numerous lakes. It is a romantic setting composed of endless pastures and wheat fields. For certain aspects it reminds of Tuscan landscapes; may have this been the reason why in the Eighteen and Nineteen-hundreds English literates moved to and celebrated Tuscany in their accounts and works? Typical hedges and stone walls delimit the landscape. Here the heritage is without any doubt the pride of this friendly people. 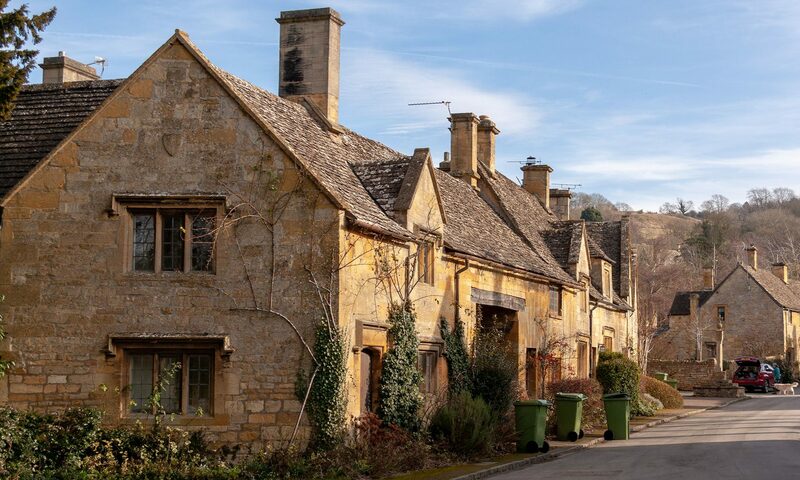 An important part of the history of the place are the worldwide famous English cottages, especially those in the Cotswolds area. But it does not matter from what cottage you depart, in Britain there is always a bit of nature to discover. The impressive castles, beautiful churches and stately country houses surrounded by beautiful gardens should not be left out from your program of visits. It would be a pity not to discover the ancient British traditions: cricket tournaments and horse races. But let’s not forget the afternoon tea; this is a lovely tradition that you can enjoy organizing a tea party yourself when renting a home or cottage. Most of the times you will find a typical English tea set for your personal use. And how can you say no to having an abundant English breakfast, a “Full Monty”, perhaps in the garden, during a beautiful summer morning? The English countryside is also famous for its small but lively pubs, still rooted in the ancient rural traditions. Having a pint with the locals adds so much flavor to your vacation! As a matter of fact, cottages started out as humble rural homes, although nowadays they are quite prestigious homes. The term indicates the typical country house of British provinces, intended for one family. Almost always cottages still in use are the result of subsequent additions and enlargements from what the original nucleus used to be. This was carried on to satisfy the growing needs of a family. The resulting structure is very picturesque due to the combination of various colors and textures, but the most common appearance is composed of stone or bricks. The typical cottage architecture and look can not only be found in private homes for rent, but also in many hotels, and summer and winter resorts. Nevertheless, private cottage villas are the best way to enjoy a self catering holiday in the Cotswolds. Just imagine staying in a cozy and quaint English-style cottage. Rooms are fully furnished and comfortable, while fireplaces and fully equipped kitchens provide all the necessary for a romantic holiday in any season. The intimate and romantic atmosphere of a cottage is ideal for a honeymoon or even just a weekend. These small country houses surrounded by nature are perfect to switch off and recharge your batteries.